Early attendance has builders optimistic about potential sales for 2018. On the first weekend of the Manatee-Sarasota Building Industry Association’s 2018 Parade of Homes, John Cannon Homes representatives counted 327 “units” touring the builder’s six homes. Units, a real estate/builder term, means either individuals or groups of two or more people. With that kind of figure for one weekend, John Cannon — who founded the luxury homebuilding company with his wife, Phillipa, in 1987 — said he is “very optimistic” about the coming year’s sales. The Lakewood Ranch-based homebuilder’s upscale products can be found in the Lake Club, The Concession and the Founders Club. One of his home-show entries, the Walara, is on Siesta Drive. In addition to three bedrooms and four baths, it has 3,464 square feet under air, a two-story, soaring ceiling over the great room, a bonus room upstairs, a master-suite wing and a study. Jon Mast, CEO of the Manatee-Sarasota Building Industry Association, which organizes the event, said it will be expanded to include remodeled homes next year. “We’re going to open it up,” he said. “There are a lot of wonderful houses” that have been updated. Those remodeled homes will be vying for awards, just like new homes. On Saturday, 73 judges, mostly from outside the region, toured the show homes and evaluated some of the 193 features on the awards list. “We had more overall entries this year than last year,” Mast said. The event includes 117 model homes in 10 developments throughout Manatee and Sarasota counties. The homes come in numerous styles, and their prices range from the low $200,000s to almost $4 million. The high-end homes were particularly popular among the weekend’s parade attendees, Mast said. Other longtime participating builders include Lee Wetherington Homes, Mattamy Homes and Neal Communities. 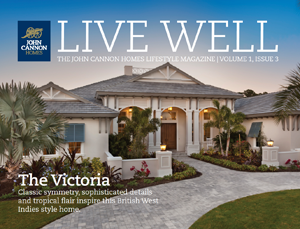 New this year are Caithness Construction, Johnson Homes, Kolter Homes and Perrone Construction. The Parade of Homes continues through March 11. Most models are open Monday through Saturday, 10 a.m. to 5 p.m. and Sunday, noon to 5 p.m. Model phone numbers are listed in the official Parade guide, published Saturday in the Herald-Tribune and online at paradeofhomesinfo.com. Organizers suggest you call the model to be sure it’s open before you arrive.